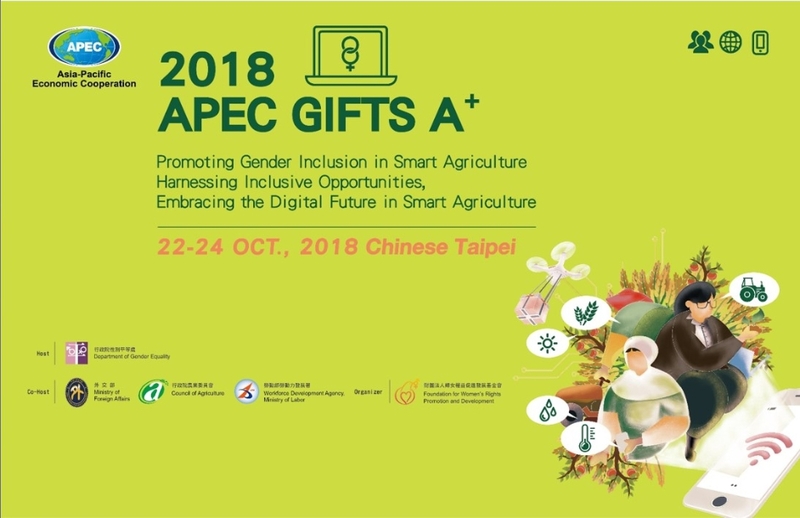 APEC funded Project “APEC GIFTS A+: Promoting Gender Inclusion in Smart Agriculture”, has been implemented by Chinese Taipei in 2018. It aims to promote use of gendered innovation approaches to boost innovation and development of agricultural science, technology, facilities and the environment as well as encourage women’s participation in inclusive and innovative green economy. 2018 GCTF "Achieving 50-50: Empowering Women Leaders in the Indo-Pacific Region"